That's a remodel of Sprinter XL. 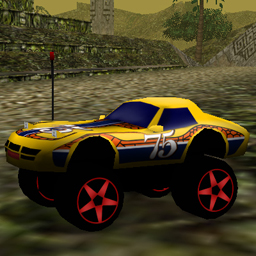 The paintjob and shape were based on a Hot Wheels car called 75 Corvette. Parameters are quite soft. Somewhat slippery.